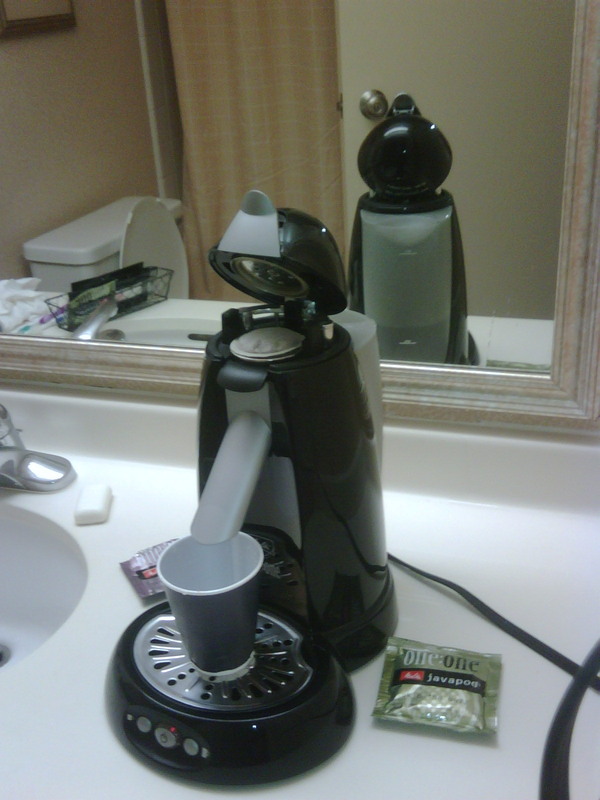 The holiday inn select in Deleware had a new coffee maker, a pseudo cartridge espresso system from 1to1coffee.com. It was less bad than in-room coffee usually is. Perhaps up to office bad coffee or even cheap diner grade coffee. Usually in room coffee is more or less warm cardboard water with a dash of mold tasting.